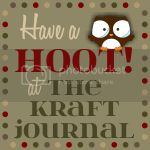 Welcome to Make-It-Monday with the Kraft Outlet. Challenge #5 theme for this week is "Love" (in honor of Valentine's Day that's just around the corner!). Use this week's theme to inspire you to create a project and then link it up at the bottom of this post before 6:00 p.m. (Eastern Time) on Sunday February 13. All participants in our challenges for the month of February have a chance to be featured on our "Feature You Fridays" posts as well as be entered to win a $15.00 Kraft Outlet Store Voucher! The more challenges you enter this month, the more chances you have to win! Remember to follow our challenge guidelines to include either Kraft cardstock or products from Kraft Outlet on your project to be eligible for the prizes. This week we have the pleasure of introducing you to our Guest Designer Tanya Rudd, from the blog Random Acts of Krafting. 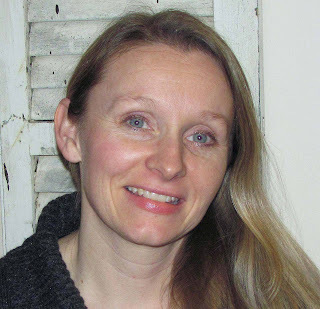 My name is Tanya Rudd and I reside in Nepean, ON, Canada. Ever since I can remember I have loved coloring, crafting, organizing and playing with pretty things. When I was younger, I would get lost in my Oma's sewing room, playing with the stash of buttons she had in baby food jars. She had an incredible eye for detail, and could create something out of nothing. Thus, I come by my craftiness genetically, and I can only hope to one day be as talented and as versatile as my Oma. I am currently passing along my love for crafting to my 2 daughters, whom love going through all my embellishments and craft supplies. It is a wonderful gift that was given to me, and I so enjoy passing along the passion. As for my style, I am always trying out new things, and I would have to say I have not "boxed" myself in yet to any one category. I am currently enjoying coloring on kraft paper, as I really amazed at the highlighting one can do when working with Kraft paper and Prisma pencil crayons. 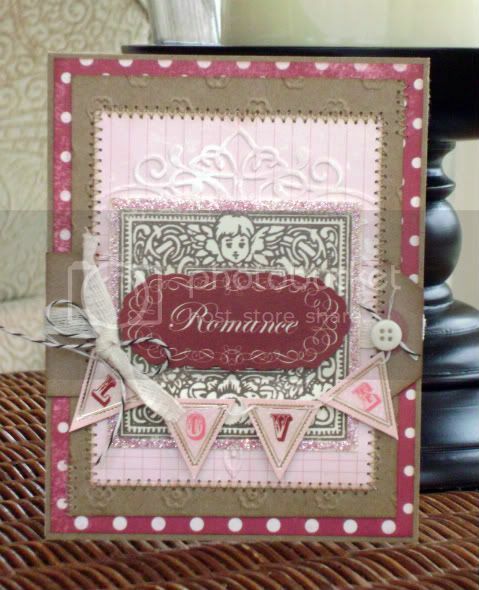 ﻿To create her project for the "Love" themed challenge this week Tanya used the Deluxe Sample Pack from The Kraft Outlet, and it came in useful when matching up the kraft color in her design paper. Tanya enjoyed using the text weight light kraft paper to make the scallop edged trim, and then matched it up and mounted the card and the different layers with the light kraft cardstock. Tanya said, "This kit is wonderful, it has allowed me to see the differences in thickness and in color of each variety of kraft paper." 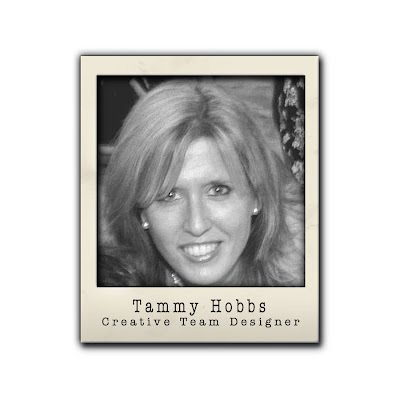 To see more of Tanya's work, visit her blog. 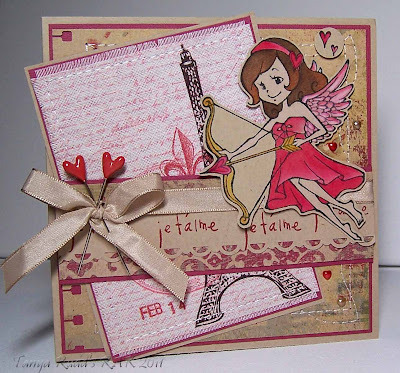 For this week's challenge, Aphra created a love inspired card. 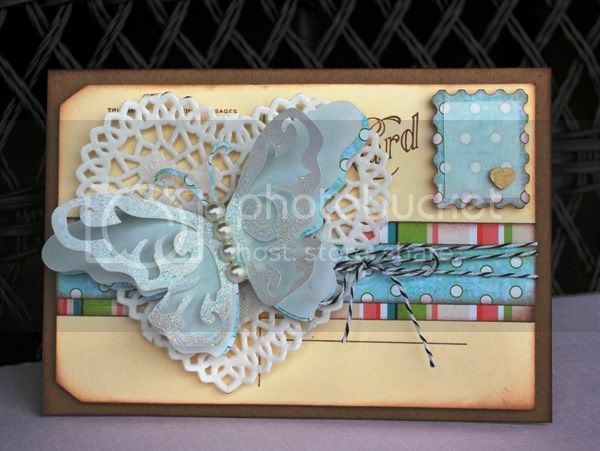 The base of her card is created from Lunch Bag Kraft Cardstock and a Buff Postcard Shipping Tag. After embellishing the postcard with some patterned paper and a heart-shaped doilie, she added some Black Baker's Twine. 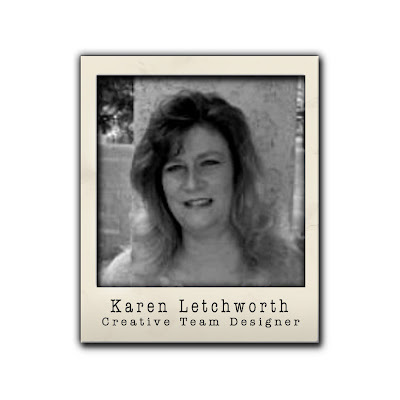 The centerpiece of the card is a layered butterfly cut from patterned paper and Translucent Vellum. The topmost layer of the butterfly is covered with Stardust Stickles and flatback pearl gems. You can see a close-up picture of the butterfly at Aphra's blog, My Scrappy Life. For this week's "LOVE" challenge Kristina made a Love Notes journal for her husband. Brown Kraft Cover Weight Cardstock, Red Baker's Twine and a Round Metal Edge Tag were perfect for this handcrafted journal. Now she can leave Love Notes on his bedside table to read when he gets home from work. For more info and pictures of her journal, please visit Kristina's blog. 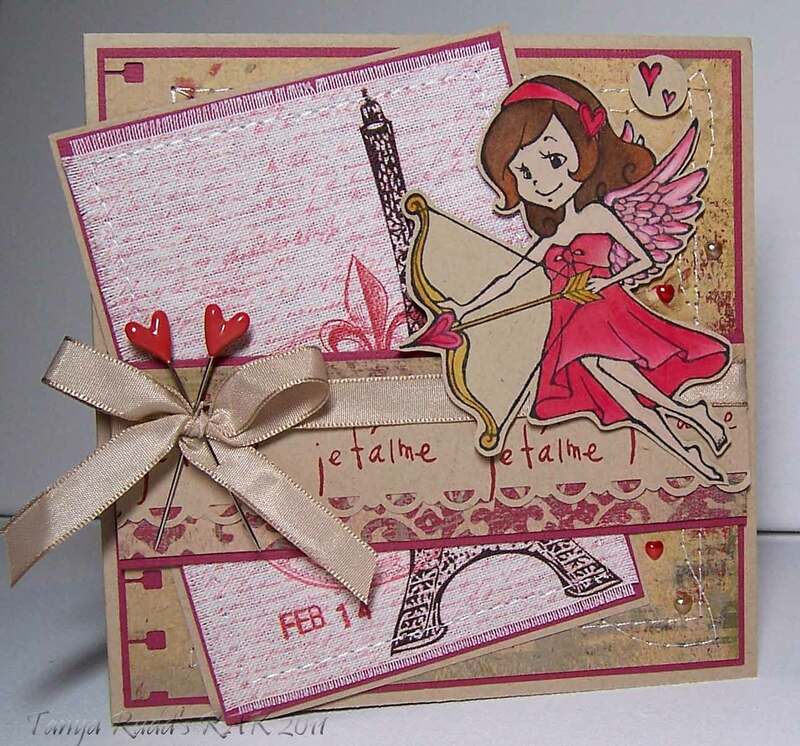 Audrey used some of her favorite Kraft Outlet supplies to make a romantic Valentine card this week. Lunch Bag Kraft cardstock and patterned papers create a backdrop for a vintage-inspired cupid frame and love themed banner. Embossing, stitching, and glitter add detail and dimension, along with a Small Kraft Shipping Tag that's been cut in half to extend its length to fit the card. Natural Tying Twill, Brown Baker's Twine, and a button add the final touches. For more details and photos, please visit Audrey's blog. Thanks so much for stopping by today and don't forget to link up your projects for this week's challenge before Sunday February 13 (6:00 p.m., Eastern time). WOW ladies, I am inspired. I now have ideas as to how to use the postcards I bought from The Kraft Outlet too! wow awesome projects. i adore your kraft paper ( so smoothe!) and love seeing new ways to use it :) thank you! Had to pop in and tell Tanya she did such a great job with the challenge, she is the perfect guest. I just realized I never seen a full shot of her before- my your pretty sweetie! I just found you guys thank you to my friend Karin!! LOVE this challenge, and the DT's cards...unbelievably amazing!! My photo has some shadows, but I didn't fix it - too busy being happy about the sunshine !! I just found your site and it looks like my kind of place. Happy to be ale to play along with your awesome DT this week. Thanks for a great challenge. 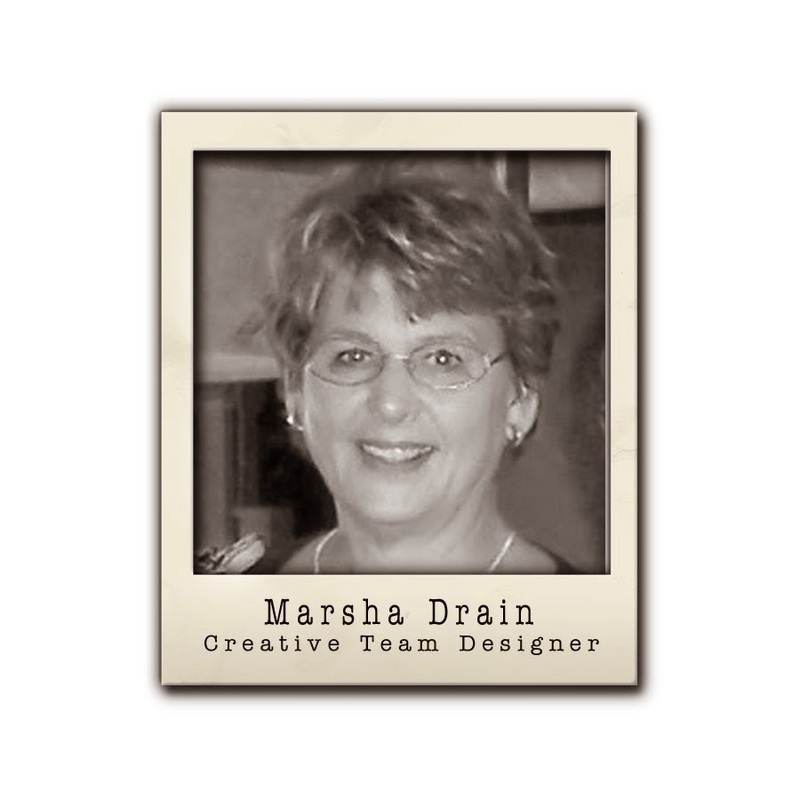 Just found your site, wow I love the DT's unique inspirations. All so lovely.